The door behind Avingard slams closed leaving Avingard briefly in darkness as his eyes have yet to adjust to the lack of light inside the castle. As his eyes begin to focus in the dark interior, he can make out a soldier standing watch next to a large open door ahead of him. Beyond the door Avingard could make out three Imperial Legion soldiers, with two of them studying intently at a map sprawled across a large table. Avingard slowly walks toward the door, keeping an eye on the soldier standing guard. The soldier peers at Avingard intently as he approaches, but doesn’t seem alarmed at Avingard’s presence and allows Avingard to continue. Avingard peers through the doorway to have a look at General Tullius and Legate Rikke. General Tullius is an older gentleman that looks as if he has seen many battles in his lifetime. He is Imperial Legion through and through, and takes his task as General very seriously. Legate Rikke is a female Nord who is loyal to General Tullius, even though it appears she doesn’t always agree with him. While she is a Nord, she is firmly against Ulric’s claim. As Avingard passes through the doorway, he begins to overhear the conversation between the two high ranking soldiers. “I’m telling you, Ulfric’s planning an attack on Whiterun,” Legate Rikke explains. “That’s not what my scouts report, sir,” Legate Rikke replied. “Each day more join his cause. Riften, Dawnstar, and Winterhold support him. “It’s not a cause. It’s a rebellion,” Tullius explained. “Jarl Balgruuf…” the General started to say. General Tullius and Legate Rikke. “General,” Legate Rikke responded in disbelief. You people and your damn Jarls,” General Tullius replied in a frustrated tone. “Sir?” Legate Rikke asked a little confused. “Yes, sir,” Legate Rikke replied seeming satisified with the plan. “You Nords and your bloody sense of honor,” General Tullius said seeming a little less frustrated. “We need the Rift,” General Tullius said starting another topic of conversation. 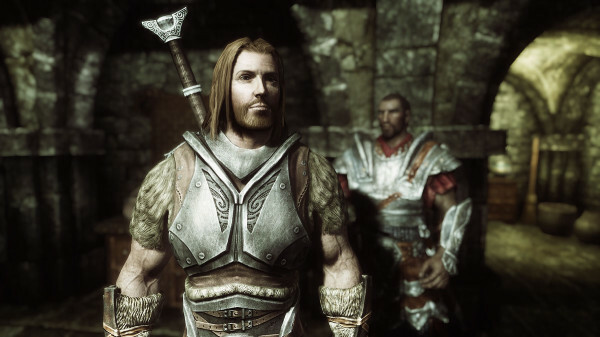 “We need to regain control of it before we can march on Windhelm without worry about our rear guard. Avingard remained speachless at the question. “Do you have some reason to be here, citizen?” General Tullius asked Avingard. “I wish to join the Legion, sir,” Avingard replied. Avingard turns to face Legate Rikke, who was listening to the conversation between him and General Tullius. She looks Avingard over and a faint smile appears on her face. “What kind of test?” Avingard asked. Avingard talking to Legate Rikke. “What’s at Fort Hraggstad?” Avingard asked seeming puzzled by the request. All the forts he has visited so far have contained bandits, so he wasn’t sure what he was to be in for. 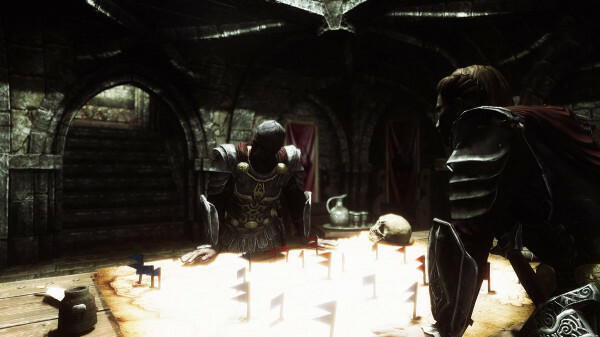 After clearing a few forts since arriving in Skyrim, Avingard felt comfortable with the task. “Consider that fort already yours,” he said with confidence.